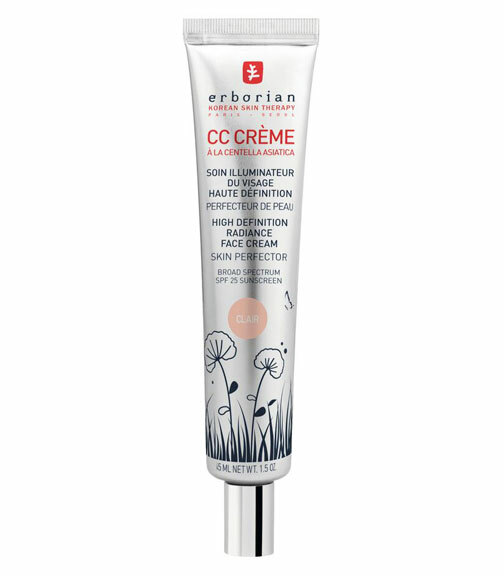 We hereby declare Erborian – the Korean-inspired French beauty brand – to be the official Superstars of Alphabet Creams. They won for both their BB and their CC creams (and trust us: we trialled plenty). If you’re still confused about ‘alphabet creams (BB creams, CC creams etc. – we’ve even seen a DD cream), these are inspired by the (somewhat complicated) beauty routines of Korean women. The differences between these creams are pretty subtle – but BB, or ‘Beauty Balms’ are more akin to a tinted moisturiser or light foundation (often with some skincare benefits in there, too). CC is generally accepted to stand for ‘Colour Correcting’, addressing issues like sallow skin or redness, via the use of light-diffusing particles – essentially, creating an optical illusion of more flawless skin. Bottom line is: they can both be great for evening out skintone and making skin appear more even and smooth. Second BB win in a row for Erborian – a brand founded by Katalyn Berenyi after a distinguished career in the beauty industry, taking inspiration from the rituals of Korean beauties. Using a ‘baby skin’-type primer is a key element there – and this moisturising, velvety cream works brilliantly when applied after your usual cream to even out skintone – sometimes to the point that make-up really isn’t needed afterwards. Alongside the clever blend of light-reflecting pigments, it features stimulating ginger and ginseng, along with licorice to target pigmentation. There are lots of reasons to love this Korean-inspired French brand (which is now under the L’Occitane empire’s umbrella) – but their complexion-evening products are a great place to start. This ‘Complexion Corrector’ (hence the CC) helps skin to appear smoother and more even-toned through illuminating pigments, adapting to your natural skintone (it’s kinda magic) while boosting radiance. Although not a ‘natural’ brand, per se, Erborian harness botanicals here including tiger grass (promotes healing and is anti-inflammatory), honey extract (softening) and vitamin E, to fight free radical damage. The smallish 15ml size is a good intro, we think.